A crime thriller, from Scottish feminist noir writer Mina, set inspired by the Burnside murders, a true crime spree by Scotland's most notorious serial killer that horrified Glasgow in the late 1950s. ...a critique of the culture that noir so effectively portrays ... 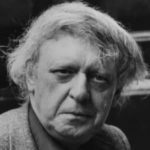 Her focus on the fate of Glasgow’s women is one of the most compelling aspects of the book, in its resonance with our own time as well as in her critique of the role of women in the noir genre ... The Long Drop is an indictment of the brutal and masculine world of noir. Mina contrasts this world with her portrait of the role of women in her story and in the culture, a portrait that is in the background of the narrative but at the center of the novel’s impact ... Manuel’s story, in Mina’s hands, overlays those horrors on our own world of ordinary horrors and of a male ego that so fully demands compliance that truth and conscience and empathy are abandoned. Mina has always been a close observer of the brutality drunkards can inflict on their wives and children. But she also feels for women like Manuel’s mother, Brigit, and the father of a murdered girl who describes her in the blandest of terms on the witness stand because he can’t bring himself to share his memories of the 'real daughter' the public knows only as a mangled corpse. Mina even holds out her hand to those inarticulate thugs whose violent acts are a perverse way of validating their own lives ... With one plotline continually hopscotching over the other, Mina manages to keep two narratives going at once: the farcical account of Watt and Manuel’s binge and the sober courtroom drama of dueling life-or-death stories when Manuel faces a jury. Despite the novel’s final reassurance that it’s 'just a story. Just a creepy story about a serial killer,' this one feels painfully real. It’s hard to top that macabre pub-crawl around Glasgow for drama, but Mina has plenty of other provocative historical material here to flesh out — including the transcripts of Manuel’s murder trial that took place the following year ... the narrator of The Long Drop sees far beyond the daily grime and grisly events of the late 1950s and, yet, mostly keeps mum, leaving readers to stumble with detectives through the fug of half-truths and lies that enshroud the story of Peter Manuel and his patsy or prey or possible partner in crime, William Watt. 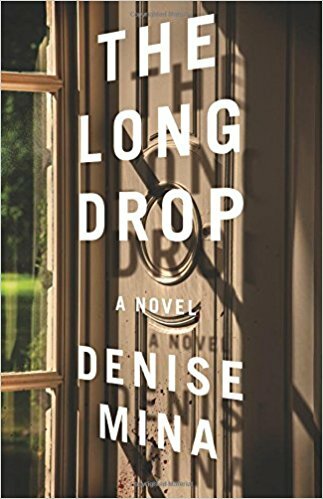 The Long Drop takes readers on a suspenseful tour into the past, through psyches and situations far grimmer than even those sooty Glasgow streets. What did you think of The Long Drop?